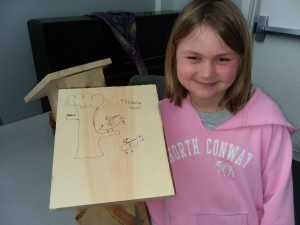 Last weekend the Wareham Land Trust hosted a birdhouse building workshop at the Wareham Free Library. 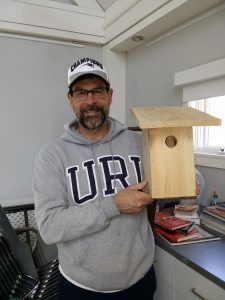 Advisory Board Member Tom Kinksky led the workshop which resulted in the completion of over 25 new birdhouses that can now be used as nesting cavities, especially for bluebirds! More about this workshop can be found in the Wareham Week article here. Workshop attendee Victoria showing off her birdhouse art. Workshop attendee Ken Beaulieu displaying his completed birdhouse.